The Raveonettes have been around pretty much since the turn of this century. In fact, the core duo of Sune Rose Wagner and Sharin Foo recently commemorated the tenth anniversary of debut release Whip It On with a special performance of the eight-song EP in its entirety at May's SPOT Festival. Initially formed in Copenhagen but more recently based in New York, The Raveonettes are one of the most prolific bands of this generation in terms of songwriting output, barely a year passing by since their formation without the band releasing new material in one format or another. Next month sees the release of their sixth long player, Observator, through the band's own Beat Dies imprint in the UK. Recorded in Los Angeles with long-time associate Richard Gottehrer who'd previously worked on 2004's Pretty In Black, it's both representative of The Raveonettes' trademark sound, while arguably their most radio-friendly collection of songs to date. Sune Rose Wagner: I thought it was one of our best ever shows. We just got back yesterday. DiS: Have you played at many festivals this summer? Sune Rose Wagner: No, not really. I guess we've been busy getting the new record ready. We'd like to think we'll get the chance to do more next year. It makes more sense for us to do those kind of shows after the record's out. DiS: I saw your performance of Whip It On in its entirety at this year's SPOT Festival where you were joined by the other two original band members for the first time in nearly seven years. What was it like playing with Manoj (Ramdas, guitar) and Jakob (Hoyer, drums) again, and would you consider playing one of your albums as a whole in the future? Sune Rose Wagner: It was fun! I really enjoyed playing with those guys again. They're really nice people and we've remained friends all this time. I mean personally, I would love to have a whole summer of just playing twenty-two minutes of Whip It On. That would be incredible. Maybe it's something we would consider at a later date, I don't know? DiS: What made even more exciting was the response from the audience in a venue that was basically an all-seater amphitheatre. From the first few roars of feedback that introduced 'Attack Of The Ghost Riders', the place erupted with people dancing in the aisles and charging to the front of the stage. Sune Rose Wagner: It was quite something! It was really crazy being on stage and watching people jump out of their seats. I had a great time playing that, really really great. DiS: You're going out on tour for virtually the last four months of the year from September onwards, including eight UK dates in late November early December. What can we expect from the setlist? Sune Rose Wagner: It will be a mix of everything. I think it is really important to play the songs that people want to hear. Obviously we've a lot of material to choose from after releasing six albums, but I'd like to think we've a pretty good idea now of what our audience expects us to play. There will be a few songs off the new record as well. How many and which ones I don't know yet. We won't be rehearsing the new album until just before the tour starts in September. DiS: Are there any albums or songs which you maybe do feel reluctant to revisit nowadays? Sune Rose Wagner: You mean songs that I'm not crazy about? There's a few, mostly from the In And Out Of Control and Raven In The Grave albums. Both of those records were very different from what we'd done before, whereas the new album is more like what I'd consider to be very traditional Raveonettes from a songwriting perspective anyway. DiS: The new record does remind me of Pretty In Black in places. Sune Rose Wagner: Yeah, I'd like to think it has a lot of the same qualities. I'm very proud of this record, although I haven't really listened back to it that much. The recording process taught me a lot about making records as well, most importantly that it's possible to write and record an album very quickly. I think that's one of the reasons why we haven't really incorporated much of the Observator material into the set yet. We've been playing 'She Owns The Streets' and that's pretty much it. It's been going down quite well with our live audiences so hopefully that's a strong indication for the rest of the record when we get around to playing it too. Another reason we haven't started rehearsing the new album yet is because we often tend to change the songs specifically for the live show. DiS: You mention the writing and recording process being very quick. How long did it take to complete Observator from start to finish? Sune Rose Wagner: I think it took between two and three weeks. Most of the songs came from ideas I already had long before we started recording. I had snippets of songs dating back eight years or so in some cases, but none of them were finished. Some without lyrics, some without any real kind of structure. I have a very short attention span and often get bored quite easily and move onto something else, so when I have these sudden bursts of energy is when I tend to be at my most productive. DiS: It's also the first time you've worked on an album with Richard Gottehrer since 2005's Pretty In Black. What made you choose him for this record and what did he bring to the recording sessions? Sune Rose Wagner: When we did the Into The Night EP with him earlier this year, I played him a few of the other songs that I'd been working on. I always do to be honest. He's probably my best friend so I spend a lot of time hanging out with him and his wife. I asked him if he had any suggestions for the other nine songs and so we got together and recording the EP and by this time, I said to Richard "You're basically producing the EP so maybe you should produce the new album too?" and it came from that. I like having him around. He's a big source of inspiration on The Raveonettes. DiS: You also recorded Observator in LA as opposed to New York where most of its predecessors were made. Sune Rose Wagner: I always wanted to go to Sunset Sound Studios as I'm a huge fan of The Doors. I thought it would be a great experience to go and record in the same place they did all their best stuff. I've been wanting to do something there for a good ten years so now seemed as good a time as any really. I think just being there inspired us. Everything came together so easily. DiS: Lyrically there's several dark undertones throughout Observator, particularly on the likes of 'The Enemy' and 'You Hit Me (I'm Down)'. Was there a common theme or concept running through the record? Sune Rose Wagner: All of the songs on the new record are about love, and mostly about unrequited love. There is one song which stands out, 'She Owns The Streets'. That song is about a real life character and her philosophy on life to just do whatever she wants to do. I guess taking the other eight songs and what they're about into consideration you could call Observator a concept record in that sense but it really wasn't a deliberate intention. DiS: None of the four songs off Into The Night are on the album, even though all four stand up pretty well as singles in their own right. What made you leave them off the record? Sune Rose Wagner: I guess the EP was meant to be a stand alone piece of work, and then the album sort of like the next chapter or something. The thing is, I change a lot when I write songs. It comes back to what I said earlier about not having a great attention span. It's really hard for me to create songs months in advance before I actually record them, so by the time the EP was done, I'd already started thinking about what I wanted the album to sound like. Even now before Observator's even been released, I'm already thinking about the next album! I just don't have a great attention span to keep these ideas fresh in my mind. I just want to move onto the next record or whatever. With the EP I was sort of over it before we came to putting together Observator. Not that I don't like it. I think it's great, but at the same time we've never really been ones for going back in time to fill the next record. DiS: Last year's B-Sides & Rarities compilation illustrated The Raveonettes as being very prolific songwriters. Are there any other unreleased songs in the vaults which could have made that or any of your other records, and if so, will they see the light of day in the future? Sune Rose Wagner: There's a lot. I actually have two full albums worth of material. One of them I did up at Richard's (Gottehrer) house around the time of Lust Lust Lust, the other I rented a little studio in London for about a week. I haven't used any of those songs either, purely because it was a different sound. I mean, we were totally into that sound at the time but then we decided to put together some new songs with a different sound. So yeah, there's a lot of unreleased songs floating around. Maybe by the time we've finished they'll come out as a twenty-sided LP! DiS: Although there are distinctive elements to The Raveonettes' sound, I think one of the reasons why you're still making records to a vibrant and receptive fanbase after all these years is because each record is different to its predecessor, certainly in terms of song structure and style. Do you have any areas or genres you're keen to explore in the future? Sune Rose Wagner: I change a lot. Right now, I'd really like to do a great doo wop album. You know, hire a really good doo wop group from Nevada or somewhere and make a really great New York summer record. That's what I'd like to do in the future but for now with the album about to come out, I guess that's where I should be focused at present. That's the attention span thing again! Sometimes if the mood takes me I'll just go away and record an album's worth of songs, so who knows..? DiS: With six albums, five EPs and a host of singles to your name, is there any one which you're most satisfied with, or which you'd even put forward as being the definitive Raveonettes record? Sune Rose Wagner: I have two. Whip It On definitely because that was the first record we ever made. I recorded and mixed it too, and because it was the first time I'd ever done anything like that I'm really proud of the way it turned out. It probably took longer to make than anything else we've done purely for that reason. We didn't know anything about the recording process at the time so I was also interning at a studio while we were making Whip It On so I could learn various tricks of the trade. The second one would be Lust Lust Lust. I just think it's our strongest body of work to date. All of the songs are just really good and the sound just sort of melts into each other. It's also super minimal how we recorded it yet so full on at the same time. DiS: I'd probably go along with those two as well although I also have a soft spot for Raven In The Grave, which I know you're not that keen on. Sune Rose Wagner: It's not that I don't like it. It's just when I listen back now I think it would work better as a film soundtrack rather than an album. It is a beautiful record, but the song structures are quite unusual compared to everything else we've done, both before and after. All of the songs have long walls of instrumental parts and breakdowns whereas normally we tend to arrange them around a verse-chorus-verse structure. It's like the first song on the record, 'Recharge & Revolt', is literally just nine continuous verses with no chorus over a cinematic backdrop. It was a big departure for us. DiS: Does it feel quite surreal that ten years after the release of Whip It On we're stood here today talking about the impending release of your sixth album followed by an extensive four-month long world tour? Sune Rose Wagner: Yeah, it feels pretty nuts to be honest with you! The longevity of most bands really isn't that long. Most of my favourite bands really only made one or two great albums, so I'm quite touched that people still get excited about a new Raveonettes record. Maybe we have got better with time, I don't know? I guess while we still enjoy doing it and there's people that care we'll carry on making records. Our fanbase seems to grow bigger with every record, and as long as we're moving in the right direction and still have something to say that's worth putting out then we have no reservations about charging ahead. DiS: You mentioned earlier already having ideas for new songs. 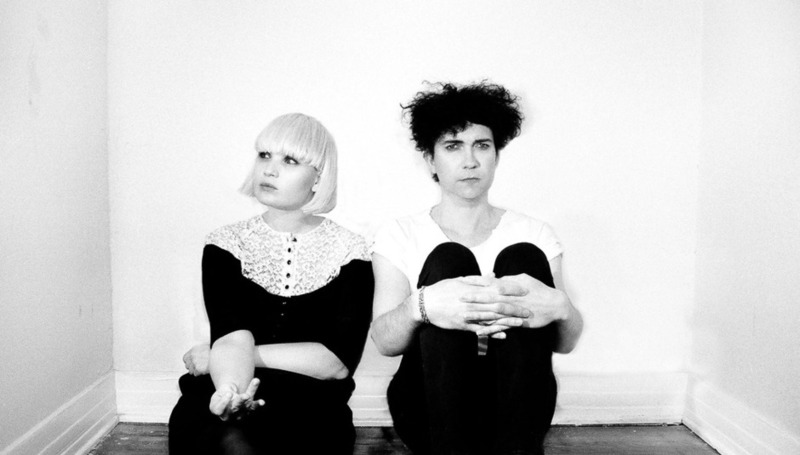 Do you see another Raveonettes album in the pipeline next year? Sune Rose Wagner: Yes, I have quite a few ideas and structures ready for a new album, and once they start coming together then I'll release it as early as possible, so next year is quite likely. We'll see what happens and how busy we get with touring. A lot of it is dependent on time, but then if the songs are ready to go I don't see the point in just sitting on them either. DiS: Finally, are there any new bands or artists you'd recommend we check out? Sune Rose Wagner: There's a singer called Marie Fisker I think is incredible. You should check out her debut album, Ghost Of Love. I just produced her new EP while I was in Copenhagen. She has such a great voice, very different to a lot of the conventional singer/songwriters out there. DiS: I've noticed you're also taking an excellent new band from Glasgow on the UK leg of your tour we've just become aware of here at DiS called Holy Esque. How did that come about? Sune Rose Wagner: It's quite a funny story actually. I'm terrible at checking Facebook messages. Sometimes I'll just spend a whole day trawling through hundreds of messages, and in there was a message from their manager that must have been at least six months old. He was talking about Holy Esque, and I didn't think much of it at the time, but then my friend James (Allan) from Glasvegas said in passing one day we should check out this great new band called Holy Esque, and then our booking agent mentioned them as well, so we checked them out and it was like, "Wow! I think we need to bring Holy Esque out on tour with us!" So that's how it came about. I'm so looking forward to the UK shows because we haven't done a full UK tour in years. The album Observator is out on Monday 10th September.